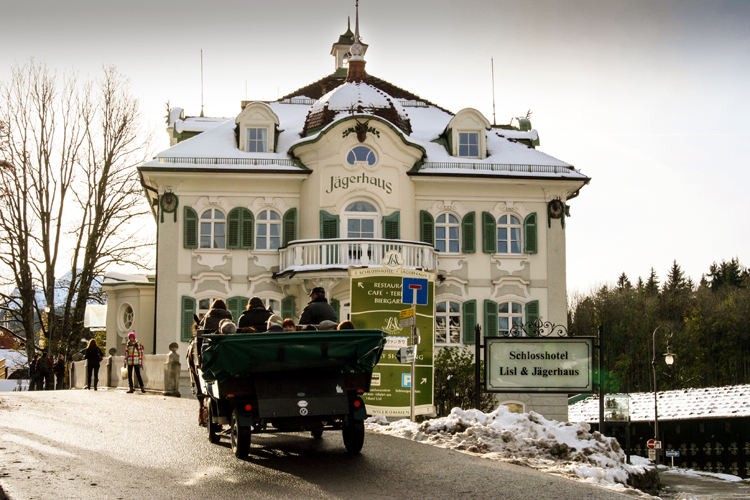 All these photos were taken in the fascinating state of Bavaria. 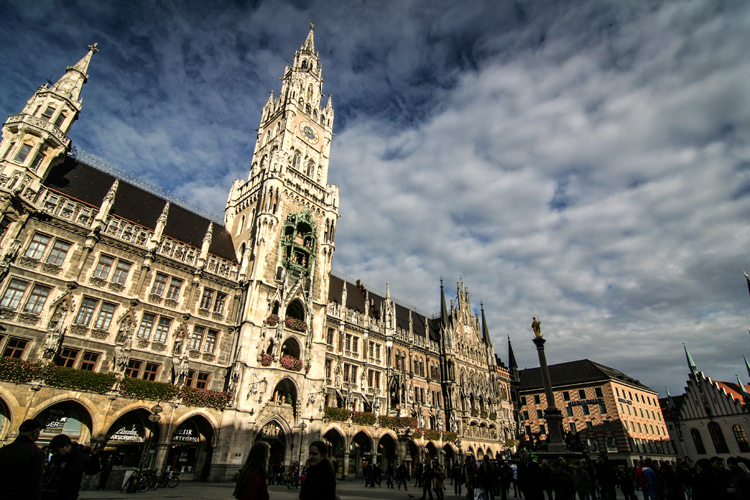 I looked forward to our trip to Munich for a long time because I’ve always taken an interest in history, especially the Second World War. 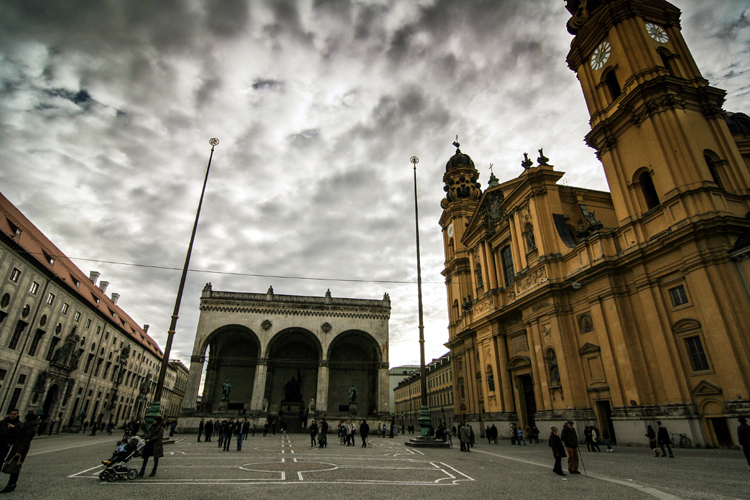 This city was the birthplace and capital of the Nazi Movement. I found it interesting to see the places where Nazi flags once hung (which I have pictured below), and to see places where events were planned that changed history forever. But, that is the past. 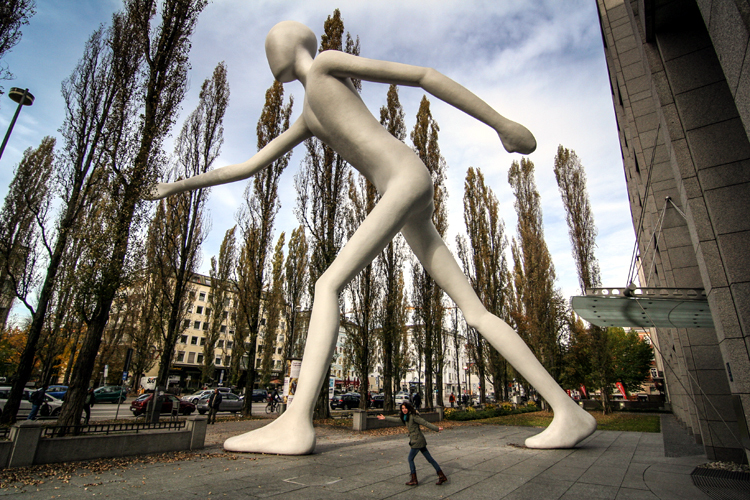 “The Walking Man” statue pictured below symbolizes moving forward. My friend and I didn’t spend a whole lot of time in Munich. 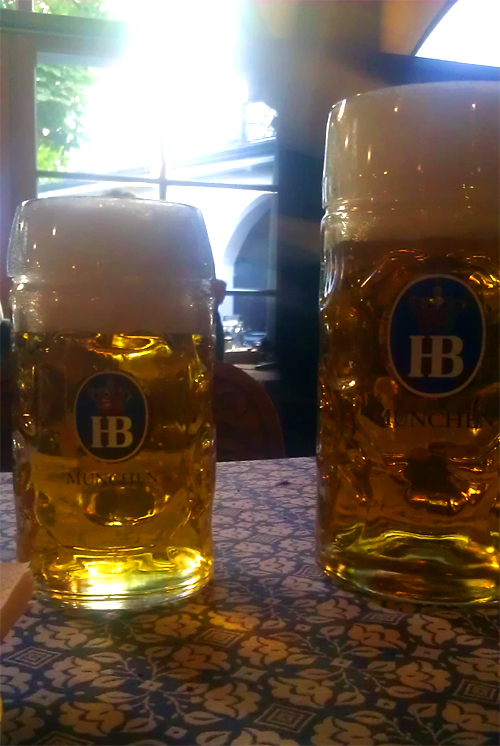 But we definitely made time to get beers at the original Hofbräuhaus! The beer maids are so strong, they carry 10 of those big glasses pictured on the left at one time! All day! I bet it is absolutely crazy during Oktoberfest. Taken in Marienplatz in front of the New Town Hall, 1929. Gorgeous blog, gorgeous photos. What kind of camera do you use? Really lovely. Thank you so much, Jalal! Happy holidays to you!